Nikon D5 Announced with ISO 3280000 4K and 12fps Autofocus. Nikon New Zealand leaked the specifications of the new Nikon flagship which is now announced at CES 2016 (Consumer Electronics Show). Here are the complete specifications of Nikon D5 and it should satisfy all the professionals. The Sony Alpha 7S low light saga is literally killed with this announcement as Nikon D5 looks set to take the top spot. The price of Nikon D5 is set at $6,499.95 . Nikon claims it to be the most powerful camera in Nikon’s history and rightly so. Announced with ISO 3280000 4K and 12fps Autofocus. Huge advancements in sensor design, autofocus, metering and image processing result in thrilling new capabilities—low light shooting all the way to ISO 102,400 (expandable to an unheard of ISO 3,280,000), precise AF detection and tracking across that entire ISO range, regardless of your subject’s speed or direction changes, blazing fast 12 fps continuous shooting along with 4k UHD video capability. A delightful addition is the high resolution XGA Touchscreen LCD with a smartphone-like interface which makes it easy to select AF points or Spot White Balance in Live View, swipe through shots, pinch to zoom, edit file names and more. 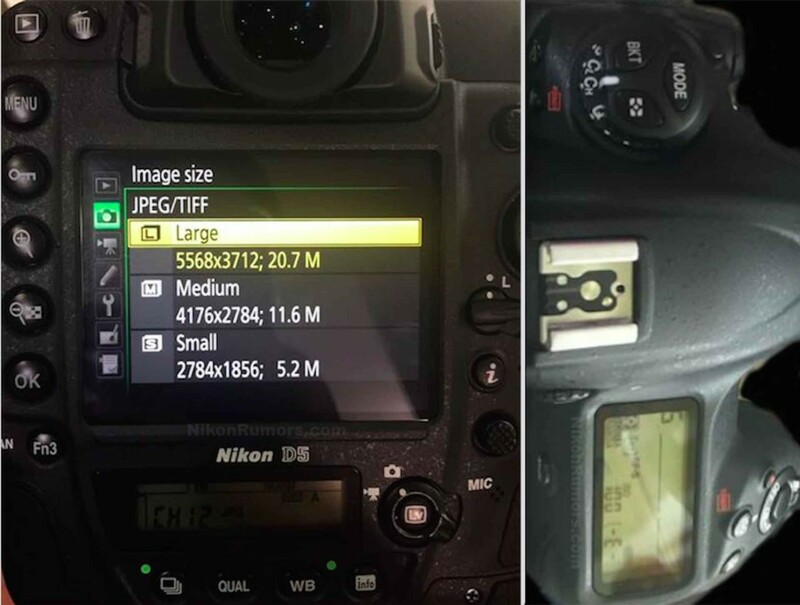 Nikon D5 redeveloped its autofocus system which consists of the Multi-CAM 20K AF sensor module. It uses 153 focus points with 99 cross-type sensors and a fully dedicated AF processor which works in near darkness (EV -4). According to Nikon, small subjects moving at high speed, even in low light, can be tracked with remarkable precision. All 153 points are compatible with AF NIKKOR lenses f/5.6 or faster, and 15 central points work with an effective aperture of f/8 which s fantastic. Nikon NewZealand Published and deleted this post. Here are the complete specifications and details of the new flagship Nikon DSLR. Here are the sample images taken on Nikon D5. It will be available for sale from March 2016. The Price is is set at $6499.95 in USA. The ISO range is massive and there should be no surprise if it takes the Top Spot in Sensor performance ratings. For latest updates follow Nikon D5 on Facebook. Nikon D5 Announced. Read full specifications and details. What are your thoughts on this revolutionary Nikon flagship. It certainly stepped up the game and like Nikon said it is vision outperformed.